Someone forgot to turn on the lights. 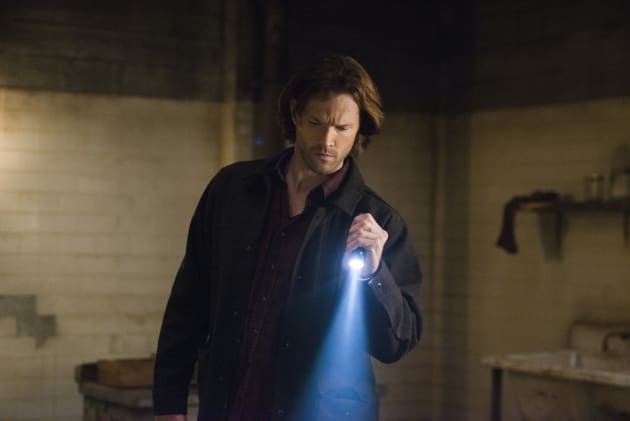 Sam is looking around for something that can lead them to solve the case. Or he dropped the car keys.